BBQ Grill vs. Griddle, they differ with respect to the surface on which you cook your food. A smart cook knows what the best appliance for a particular dish is. It is a healthier choice for their loved ones and the one to own for their use! Grills and griddles are popular choices for lovers of grilled dishes like burgers, bacon, chicken, and beef and more. If you know what you’re doing then each dish that you will cook will turn out to be a masterpiece. You need to have the right appliance and add the right ingredients. So let’s delve right into which choice of cooking is better between a generic BBQ grill vs. a griddle! What is a BBQ Grill? “Grill” as a word is used in many instances, sometimes even out of place. I would be referring to a generic grill, which has a metal (iron) mesh. It consists of raised ridges or grates which imprints the famous grill marks on your meat. It relies on traditional charcoals burning to provide the heat. This heat is provided from the bottom of the plate. They are best for hamburgers, steaks, and vegetables. “Griddle” refers to a pan-like cooking surface. It is quite larger than the pan, which has a heating source directly under it. It’s usually, fundamentally, electricity powered. It’s made of heat conductive elements like stainless steel or iron. These materials provide good efficiency and heat up the food by converting electricity to heat. Griddles used to be commercial until recently. They work like a pan and can cook a great breakfast like omelet, pancakes, bacon and so on. Now let’s talk about some important points in our BBQ Grill vs. Griddle comparison. Many times similar food can be cooked on both. However, they both provide different results due to their build and cooking style. Cooking surface is an integral aspect of our BBQ grill vs. griddle comparison. After you buy one of each, the first difference you will notice is the cooking surface. A grill cooks food on hot grates. The burning charcoal sitting at the bottom of the container provides direct heat to the grates and the food, too. These grates thus imprint spicy-looking long grill marks. As for the griddle, the cooking surface is a large flat stainless-steel plate on which the food lies flat. The heat provided is indirect in this method. It incorporates a temperature control device, which connects the griddle plate to the electricity. It maintains the grid plate upper surface at a fixed temperature and offers a wide range of temperature options. 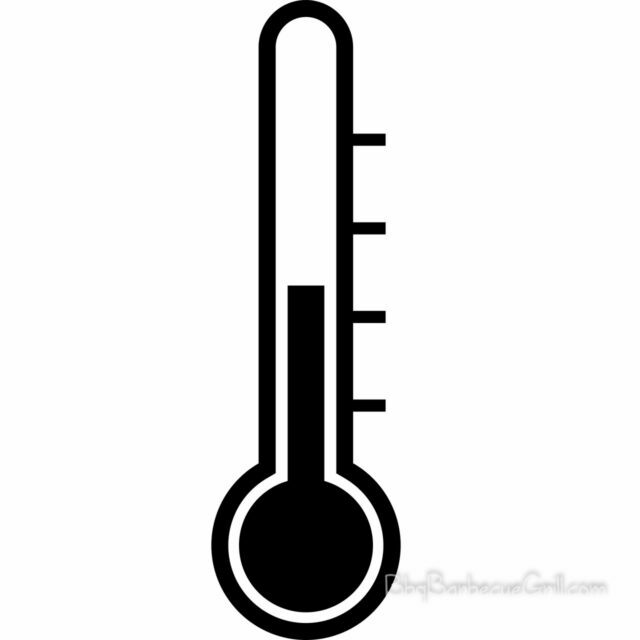 Temperature controls also have a significant part in our BBQ grill vs. griddle comparison. Grills are capable of providing exceedingly high temperatures. The raw charcoal burns and provides direct heat through them. When you add this feature with the grates, you get a low-fat food. The fat will drip away due to high temperatures. On the griddle, the fat content usually starts to cook your food. It stays on the plate, alongside your food, rather than dripping away, unless the griddle has a draining channel or a drip tray. Grills don’t have a way to control the temperature of the charcoals burning. Therefore, the temperature is checked by experienced skilled cooks by holding their hand over the charcoal heat. Moreover, there’s no way to vary the temperature easily and a fixed value of temperature cannot be set upon it. It also takes quite longer to heat. Of course, if you have an electric grill, you can adjust the temperature with a thermostat. This happens also with an electric griddle. You can set a fixed value of temperature; can vary it fast and vary it easily through a knob. These griddles embed mobile thermostat capable of controlling temperatures of parts of the plate. Through the thermostat, it is possible to create zones with varying temperatures over the same plate. Thus, allowing you to multitask and cook different kinds of food at the same time. On a grill with charcoal as the main source of heat, there’s no way to vary temperature. A gradient of heat can be maintained if you push the charcoal toward one side and the food to the other side. That’s about all you can do to various temperatures in zones. The aspect of cleaning is very important when it comes to cooking appliances. Therefore, we have included that in our BBQ grill vs. griddle comparison too. A generic grill, with irremovable grates, crevices between grates and corner cavities is quite hard to clean. Mostly, the fat and dripping food content is easily stuck in the grate and solidify as it cools. Griddle, on the other hand, is easy to clean and maintain as there’s only a very large flat plate. To clean it, use warm water and a knife or scraper. It usually doesn’t rust either. The results associated with the food, its aroma, and flavoring along with its looks also relevant to our BBQ grill vs. griddle comparison. The most evident advantage of the grill, visible in the cooked food, is the appetizing charred look and crispy outer. Grilled meat has a charred surface which is usually red or golden-brown in color. Moreover, the imprints do the job of adding the final icing to the cake and make the whole package absolutely scrumptious. Griddle does not provide this element in the food. Grills uses incorporated lid to enclose the flavorsome smoky aroma around the food until it infuses into it. The food slowly cooks, to give a splendid taste. Food just tastes much better due to the charcoal wood flavor and charred surface. Griddle can’t provide such a thing as it’s usually lidless and electrically powered. 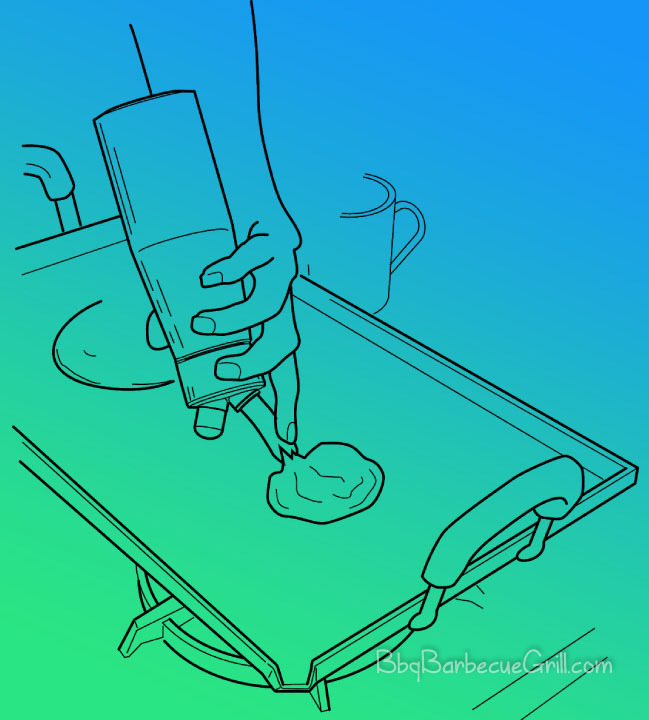 Grease control is crucial to this BBQ grill vs. griddle comparison. While grilling you have a limited choice in how to cook your food. On the other hand, with a griddle, you can try cooking techniques by varying quantity of oil the food is housed within. When using griddles, the fat or grease doesn’t come in contact with the fire directly as there’s none. Therefore there’s no risk of cancer-causing materials depositing on your meat. Which one is a healthier option: a BBQ grill or a griddle? As health awareness grows, more and more people understand the disadvantages of consuming fatty and oily foods. It has bad effects on the arteries and therefore, the heart. Both the grill and griddle has their ups and downs and we’re about to discuss the health impacts and related differences between BBQ grill vs. griddle. There are two aspects of health to consider, one aspect is about cooking and the other aspect relates to the food that is cooked. When cooking, a griddle tends to be safer than the generic grill. Most grills often lack safety features required by municipal codes of most countries, so embed some risk. The boundaries and handles of griddles tend to get heat up during the function. 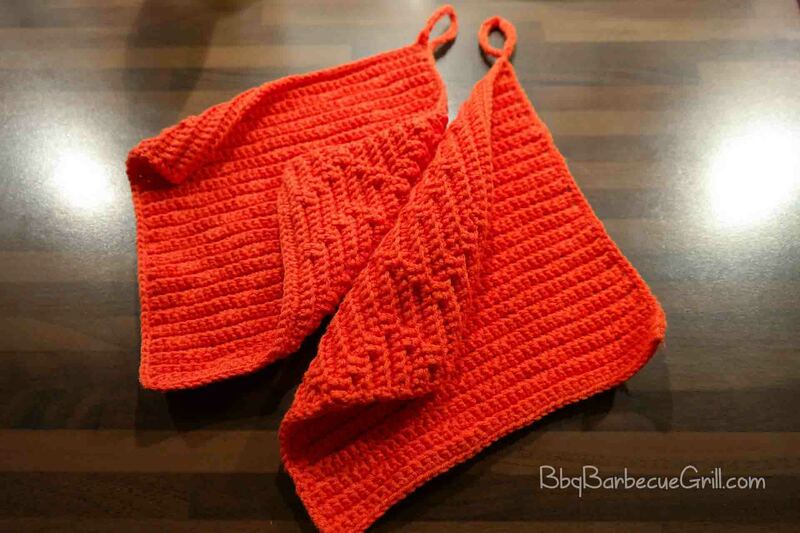 It’s recommended to wear heat resistant material on hands like oven mitts to avoid burn when using griddles. When using the grill, beware of grease or oil fires which are quite common. It’s important to cook with ventilation while keeping your eyes, face, and hands safe from heat by staying at a good distance. Let’s talk about the second aspect now. Griller is good in dripping away from the extra fat content in your meat, however, where does that fat go? As the dripped fat is burnt in charcoal it gives heat to the meat. When the meat isn’t marinated properly, carcinogenic (cancer-causing) materials tend to deposit over its surface. The composition of fat leftover that is burnt in charcoal directly isn’t healthy for you. Grills are also harder to clean, and so unless you clean it properly, there’s a good chance you catch some bad bacteria with your food. To combat the bad sides of the grill, get a grill with drip trays and removable grate mesh. Both these features are found in costlier grills, however, I consider them important. When using griddles, the fat or grease doesn’t come in contact with the fire directly as there’s none. Therefore, there’s no risk of cancer-causing materials depositing on your meat. However, then you get the stagnant grease and fat within which your meat cooks. This allows securing the vitamins and healthy ingredients of food but actually is bad for your arteries simply due to excess oil. The only way to counter this is to simply use less oil in your foods as there’s no way to discharge it amidst cooking. The reality is that there’s no right or wrong when it comes to grill vs. griddle. They’re both made for providing you with different cooking style, features and health benefits. In fact, an at-home master chef would prefer both. I believe they both are available in out there, for nearly the same cost, give or take a bit. If you can’t afford both, make keynotes from my article. Decide what’s best for you based upon your personal set-up, convenience, preference, and knowledge. We hope you make the best choice possible. Oh and, if all else fail, you can also opt for an appliance which combines both griddle and grill into it. Just a takeaway tip for generously taking your time to read my view on the topic! ← How to Season a Blackstone Griddle?